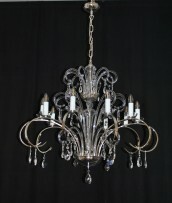 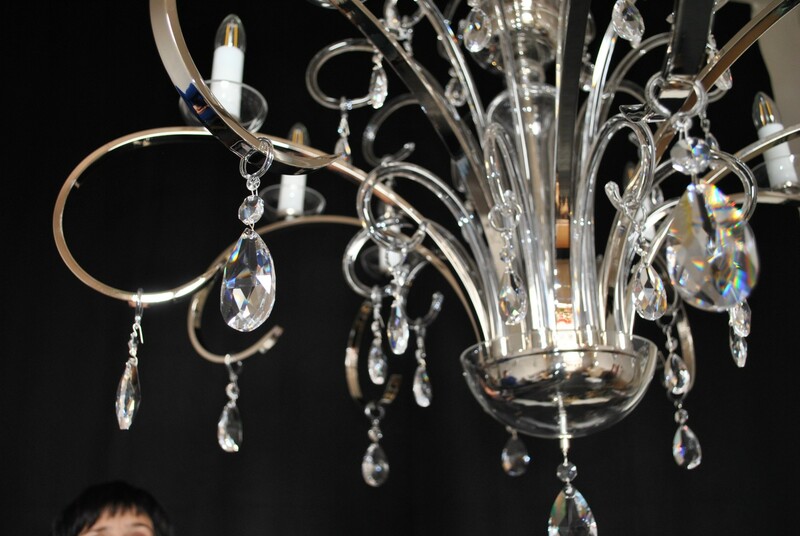 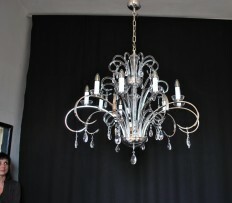 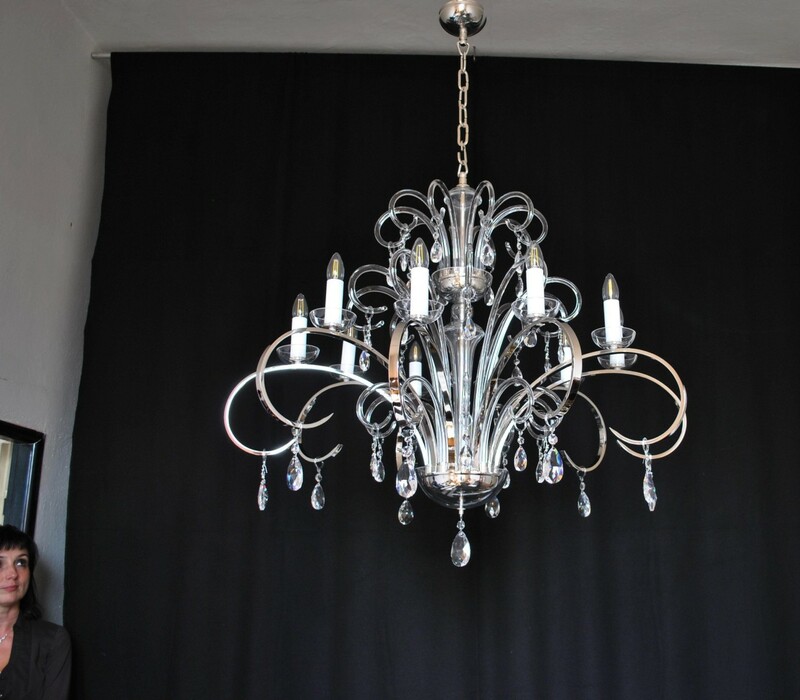 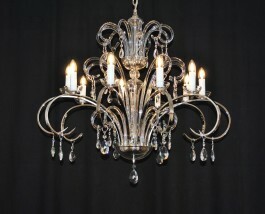 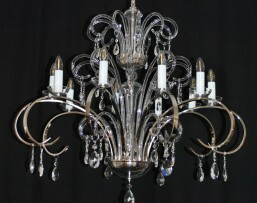 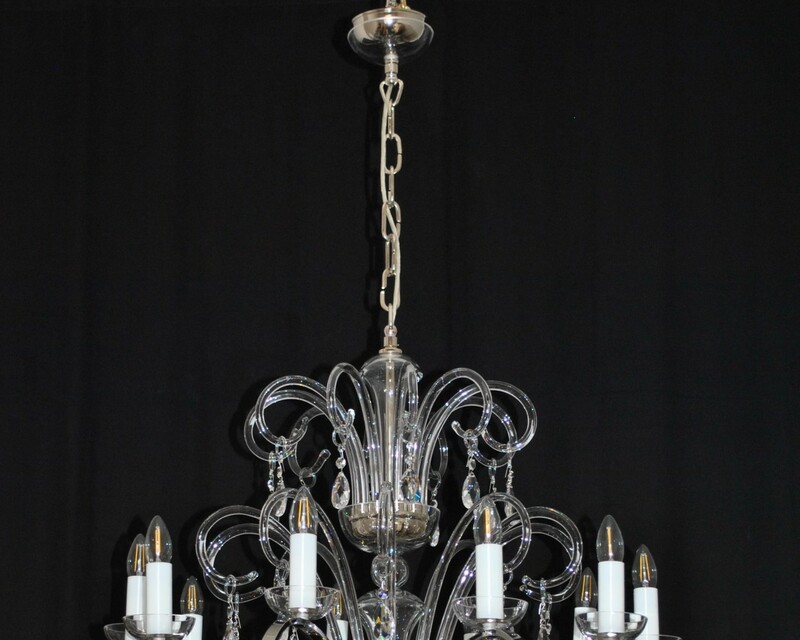 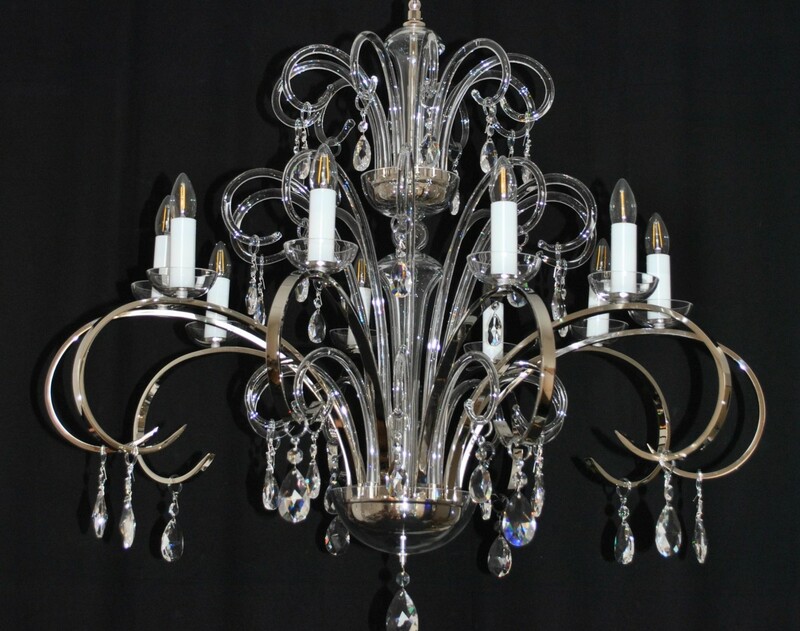 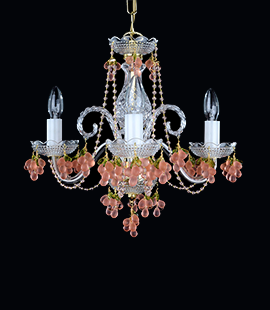 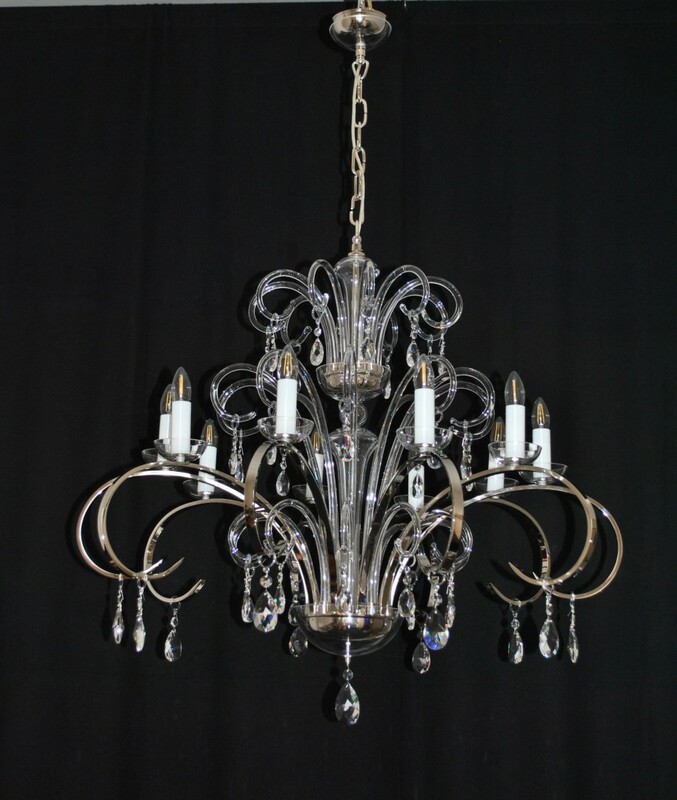 The stylish 12 arms chandelier made of profiled metal arms. 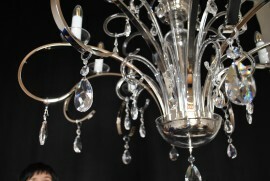 Silver finish - Chrome plated brass. 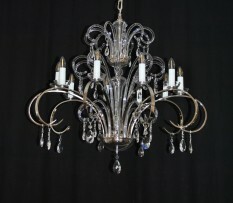 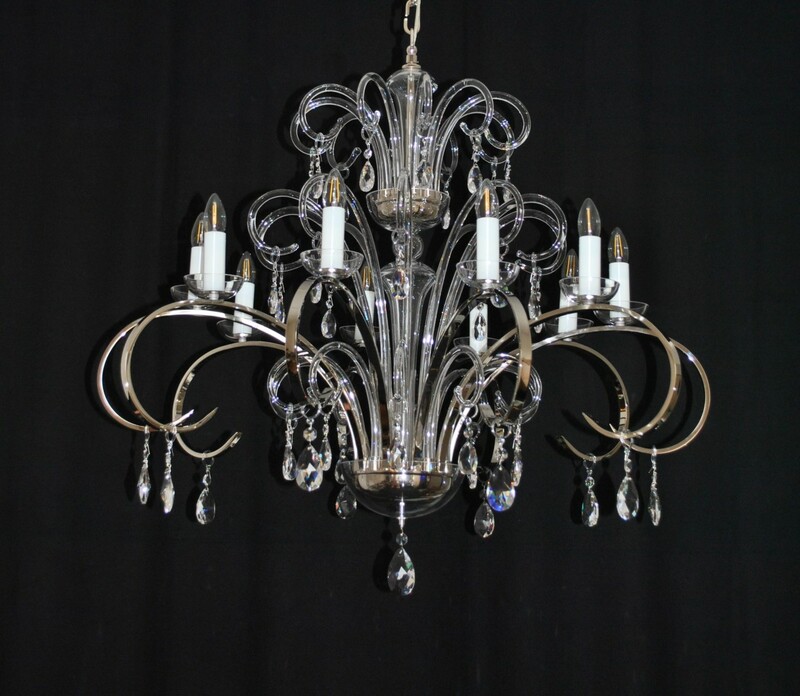 All glass parts are made of smooth hand blown glass.